Established in 1861 on land given to the city of Brookhaven by Rev. Milton J. Whitworth, founder of Whitworth College, this cemetery is among Brookhaven's first and largest burial grounds. 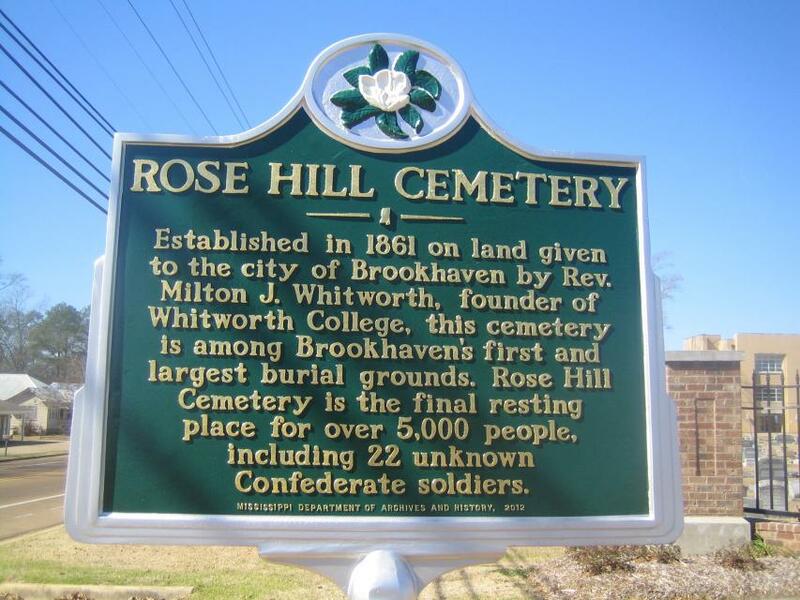 Rose Hill Cemetery is the final resting place for over 5,000 people, including 22 unknown Confederate soldiers. This marker can also be identified by its HM code. You can use the hashtag #HM1INU in tweets, and any other place where you might refer to this marker, including when searching on this site.